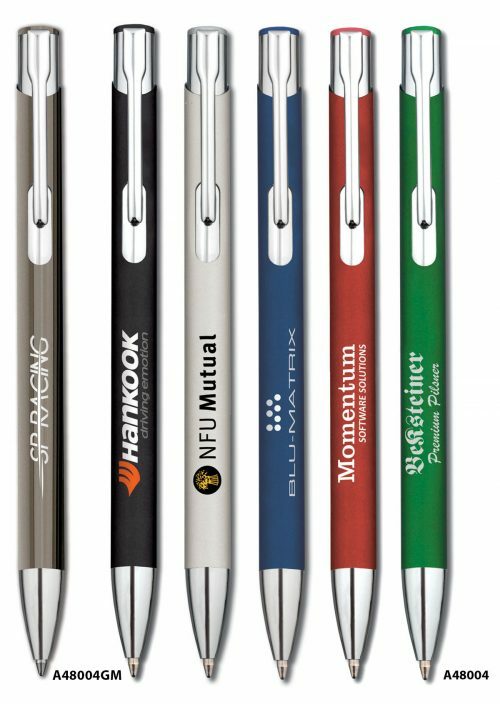 A highly popular all metal push action ballpen in five matt lacquered colours or gloss gun metal with bright chrome fittings. 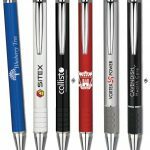 A48004 Santorini ballpen in matt lacquered black, silver, dark blue, red and bottle green with bright chrome fittings and a quality metal Parker style black ink refill. 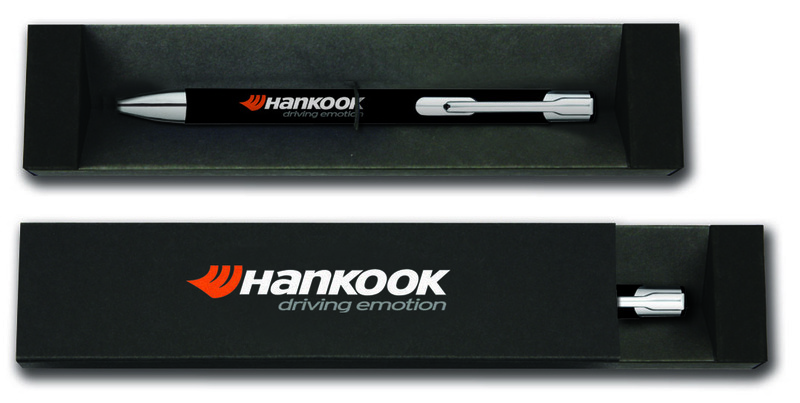 A48004GM Santorini ballpen in gloss gun metal with bright chrome fittings and a quality metal Parker style black ink refill. 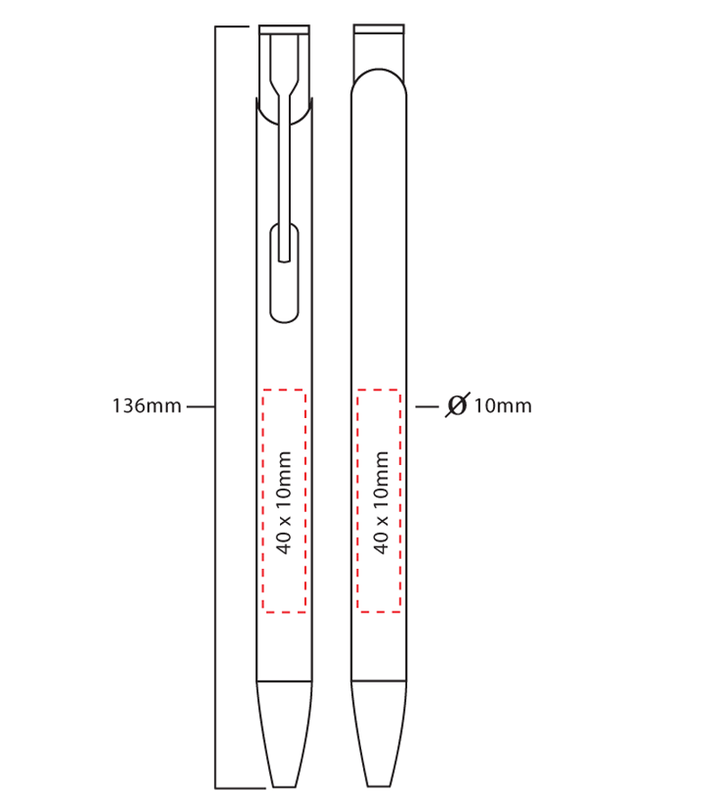 The box illustrated below is a recommendation for the Santorini range and is charged at additional cost to the unit price of the pen. R1 Recycled Card Presentation Box A low cost presentation box in black recycled card with an elastic loop fastener for one pen. Screen printing is available on the box lid. High resolution laser engraving is a permanent alternative to screen printing which reproduces designs in incredible clarity and detail. A white aluminium colour is reproduced on matt black, blue, red and bottle green lacquered finish. A mid grey colour is reproduced on the matt silver lacquered finish. A white aluminium colour is reproduced on the gloss gun metal finish. Laser engraving is an additional cost to screen printing. 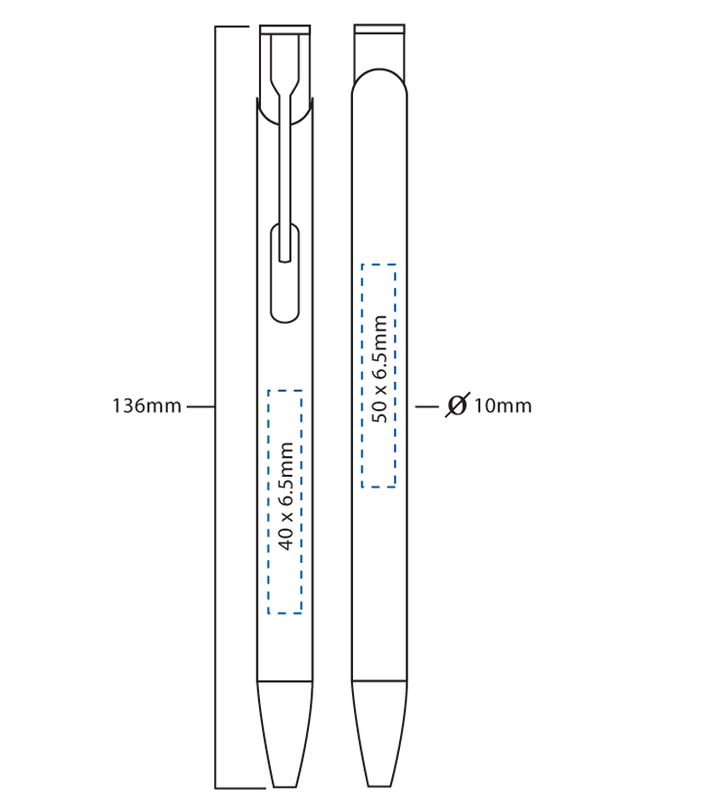 The Santorini ballpen is fitted with a custom made Parker style metal refill with a Swiss tip and German Dokumental ink.